Anonymous knows jack about cars. This looks more like a touring car than a road car! I have been living with a D3 BiTurbo for 6 months and it still astonishes me every day, it's brilliant. Nothing else comes even close in delivering a rounded blend of performance, handling, practicality and economy. No (and I mean not a hint) of turbo lag, smooth power right through the range, awesome performance when you need it, 40-odd mpg and legendry Alpina handling. I am no tree-hugger, but I do pile a lot of miles on and the fuel economy makes this an easy car to live with on the wallet whilst still being exclusive and oodles of fun. Anonymous is missing many points. Tuner or manufacturer, diesel or petrol, these cars are brilliant at what they do, namely an everyday car that you can use on the pot-holed roads with horrendous traffic, but which talk to you like a proper performance car. The suspension, the steering, the gearbox, the engine and the sound are all tuned to give you the feedback that a track car gives you on race day, without the annoyance that would drive you mad on the public roads. Try one and tell me of another car that feels as good, but that you could live with every day commuting into a busy city! 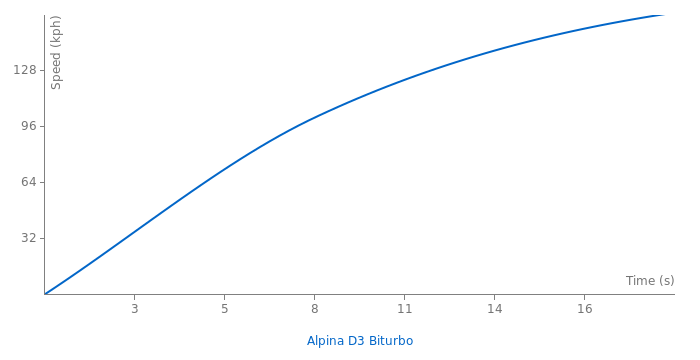 Alpina Burkard Bovensiepen GmbH is an automobile manufacturing company based in Buchloe, in the Ostallgäu district of Bavaria, Germany selling their own cars, based on BMW cars since 1965. Just like the RUF cars are based on Porsches.Since the late 70's Alpina has been recognized by TÜV as an automobile manufacturer, thus "ALPINA"-built cars are branded and registered as "ALPINA" and not "BMW," although owner privileges through BMW are maintained. 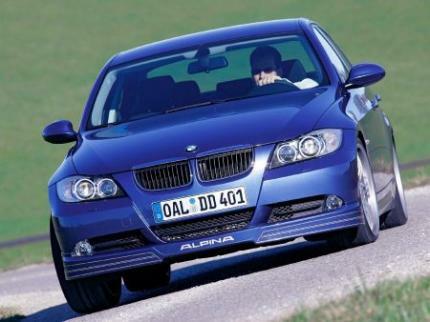 ALPINA is a stand alone car manufacturer in close co-operation with BMW, therefore an ALPINA can be bought and serviced at local BMW dealerships, and covered if there is a warranty issue. Cant forget GemBalla,9FF,ABT,AC Schnitzer,Brabus,Carlsson. there all REALLY nice Tuned cars, but tuners nonetheless. and no offense but if some of yall believe this or those other companys are. ACTually car makers, then, well i guess theres no help for ya, but think it anyway. not a bad car anyway, but a lil underpowered! Ya, any aftermarket company like HENNESEY or ALPINA are tuning companys!!!! a real manu****tur, and not a tuner??...Riiiiight! What is the point of this engine being a DEISEL? Just to impress a few tree huggers? A four cylinder would be interesting but the deisel robbed this car of its power. By the way lousy torque numbers!!!!!!!!!!!!!!!!!!!!!!!!!! !